Smoke Point – Smoke point of an oil also known as boiling point of an oil can simply be defined as the temperature at which, under specific and defined conditions, it begins to produce a continuous bluish smoke that becomes clearly visible. This process is accompanied by the release of free radicals, trans fat and toxins that often find their way easily into your food and cause a variety of unpleasant health conditions. Oils with high smoke points are good for high-heat frying and stir-frying. The quality of the oil and its free fatty acid (FFA) content. In general, an oil which contain high levels of free fatty acid have lower smoke points because the breakdown of the oil is quicker while oils with lower levels of free fatty acid have higher smoke point. Nevertheless, it is important to note that, free fatty acid only represents less than 1% of the total oil and consequently renders smoke point a poor indicator of the capacity of a fat or oil to withstand heat. 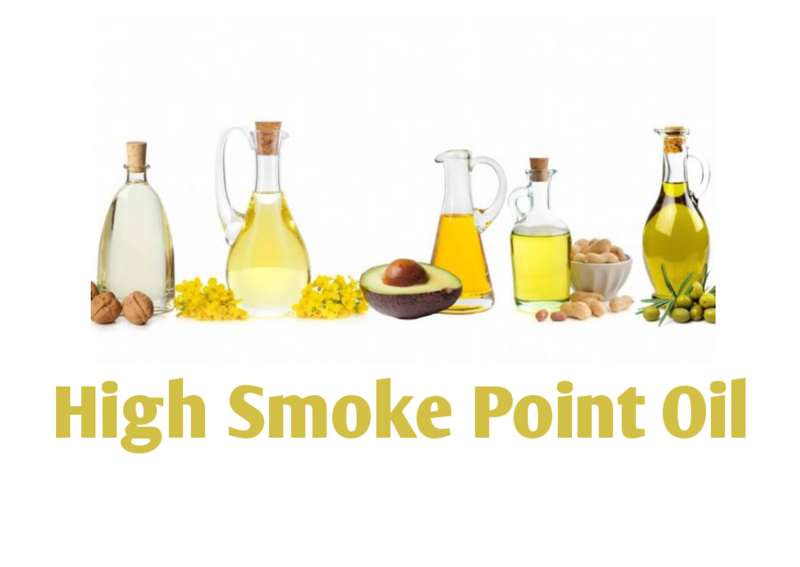 Here’s a list of some top cooking oils with their corresponding smoking points and benefits. Walnut Oil – Walnut oil is oil extracted from walnuts, Juglans regia. The oil contains polyunsaturated fatty acids, monounsaturated fatty acids, and saturated fats. It is rich in antioxidants, melatonin, ellagic acid, omega 3, 6 and 9, and phytonutrients. It is used to improve blood circulation, minimize risks of heart diseases, aid sleep, and to keep hormones balanced. Walnut oil also contains vitamins B, B1, B2, E and niacin; all of which are good for treating skin. Semi-refined walnut oil has a smoke point of around 160°C / 320˚F while refined walnut oil is around 200°C /400˚F. Peanut Oil – Peanut oil, also known as groundnut oil or arachide/arachis oil, is a mild-tasting vegetable oil derived from peanuts. It is naturally trans fat-free, cholesterol free, and low in saturated fats. Many are not aware that frying in 100% peanut oil is allergen-free as well. Peanut oil is high in unsaturated fats, especially monounsaturated fat. It is also a source of vitamin E and phytosterols, which benefit heart-health. The oil is available with a strong peanut flavor and aroma, analogous to sesame oil. Refined peanut oil has a high smoke point at around 232 °C / 450˚F while the unrefined peanut oil has a smoke point of 160°C or 320˚F.